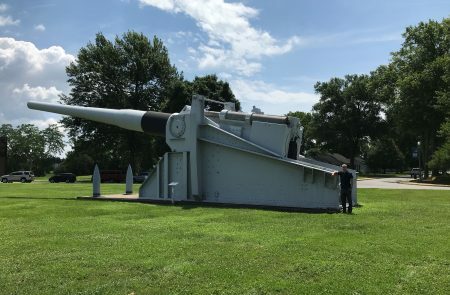 Alex Clem ’19 stands next to a cannon used on a ship in WWII, just outside Dahlgren Naval Base. 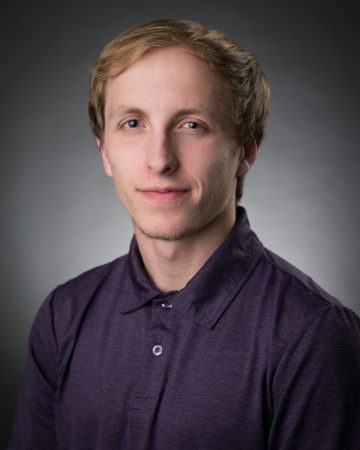 For this post, we asked physics major Alex Clem ’19 a few questions about his internship at Dahlgren Naval Base in Dahlgren, Virginia. I am very excited to be a part of the Naval Enterprise Internship Program at Dahlgren Naval Base this summer through the American Society for Engineering Education. I started on May 21, and we will be here until July 27. I found out about this internship through a family friend who works on base. This internship is extremely beneficial to my resume and fundamental in understanding how classroom material translates to the real world. Randolph prepared me for this internship in a way that I could not have achieved myself. Randolph taught me discipline and responsibility, which is critical in this field. What are your long-term goals, career plans and how does this internship factor in? My long-term goals are to find a position in which I can demonstrate what I have learned in my major as well contribute to society in the most effective way I can. This internship does both of these things. I use what I have learned in my studies at Randolph every day. This internship provides me the opportunity to contribute and benefit society to the best of my ability. My favorite thing about Randolph is the accessibility to professors and resources that the school provides. The student-to-teacher ratio is something that I sought out when researching schools. At Randolph, you have a relationship with your professor; you are not just a number.